Belgian radio station Klara is hosting a festival at De Singel in Antwerp, Belgium. Lots of bands and even more music. I'm going for the Bruno Vansina Orchestra and for Flat Earth Society. The latter will be featuring Ernst Reijseger (cello) as special guest. A song by Peter Vermeersch performed by Flat Earth Society and Ernst Reijseger at the Middelheim Jazz Festival 2012. Including the hilarious tap dance by the one and only Wim Willaert. thanks to the oldgreygoat for making this fine tribute ! Saturday, August 16, 2014, I happened to be in Schangnau, Switzerland, at the Zapperlot! festival. For me, Öz Ürügülü was the greatest discovery. Progressive, instrumental, experimental rock with some eastern and jazz influences. I loved it. The band had also brought their first album along: "Forgotten Archives". This, my dear friends, is something that you definitely need to hear. 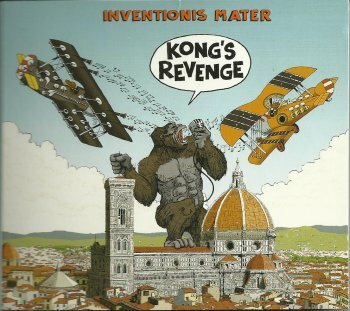 Italian duo Inventionis Mater just released their second all-Zappa album, "Kong's Revenge". Inventionis Mater will be doing concert in Sarzana and in Lovoleto (BO) in February, and will be playing at the Moo-Ah festival in March. They're also evaluating the possibility to do a tour in the U.S. in August. If you have suggestions, contact the band through their facebook account. Inventionis Mater's latest project focusses on Macedonian music. 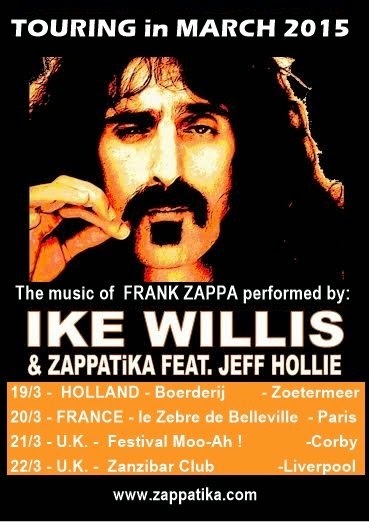 performing the music of Frank Zappa. My Czech friends recently released issue number 132 of the Czech Frank Zappa Fan Club Fanzine. 12 pages with pictures and articles, all about the Grandmothers concerts in the Czech Republic. Issue number 132. That's eleven times twelve. Or twenty-two times six. Playing at Moo-Ah and more. With former Zappa and Captain Beefheart slide guitar player and vocalist Denny Walley ! The Not Now Music label celebrated the 100th anniversary of Sun Ra's arrival day with the re-release of "The Futuristic Sounds Of Sun Ra" and "Super-Sonic Jazz". Respectively from 1961 and 1957. Nothing new but a very nice package (slipcase, mini-lp like labels,...) and ridiculously cheap. Here's 'Kingdom Of Not', originally recorded by Sun Ra for "Super-Sonic Jazz", performed by the Forgotten Fish Memory Orchestra. I picked up this copy of "Kaleidothrope" during a visit of a local CD shop. Yes. A local CD shop. They still exist. 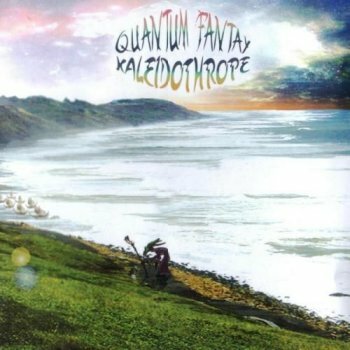 And this one even had a number of albums by Quantum Fantay. "Kaleidothrope" was album number four. Released in 2009. Just the kind of thing that I need on a Sunday evening. 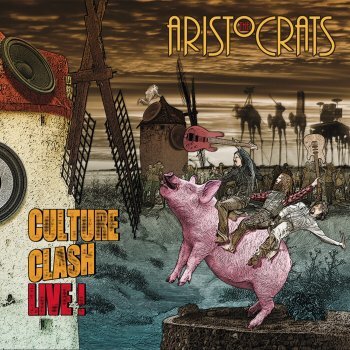 NEW ARISTOCRATS ALBUM IS OUT ! 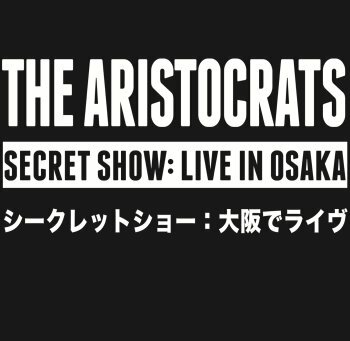 "Culture Clash Live" and it's twin brother "Secret Show - Live In Osaka" have both been released. I'm listening to the downloads at this very moment. Milan based Wallace Records releases experimental / avant-garde / underground music. To be released next month: "Virginia Avenue - Live At The Ivanhoe Theatre, Chicago, IL, November 21, 1976. 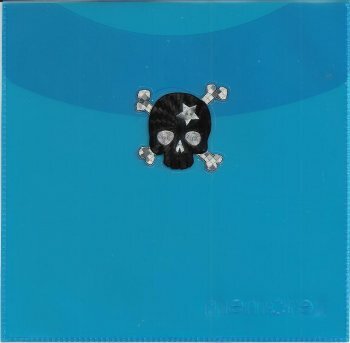 Previously released on various bootlegs (and on the B13 label on clear vinyl). Steve Vai Academy from August 2 to August 6. 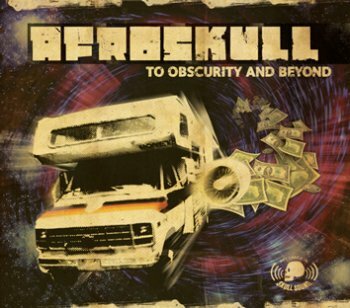 Afroskull, the band that used to include a couple of Zappa tunes in their live performances ('Peaches En Regalia' and 'King Kong' !! ), has a new album out. It's called "To Obscurity And Beyond" and features Ronnie Cuber on saxophone. That's the same Ronnie Cuber who can be heard on Zappa's "In New York" and "Lather" albums. Chris Schlarb recorded Frank Zappa's 'Sofa no.2' and released it on his "Psychic Temple II" album. Out on CD and on white vinyl. 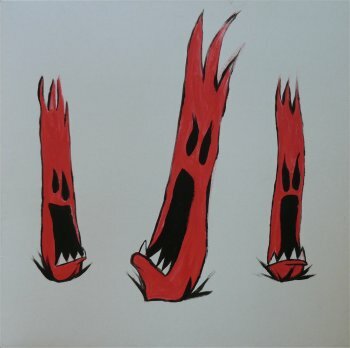 Beardfish has a new album out : "4626 - Comfortzone". Available from the InsideOutlabel. On vinyl and on CD. Also released as a limited 2CD set. 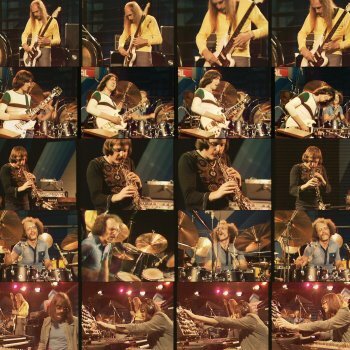 Cuneiform released Soft Machine : Switzerland 1974, a CD + DVD set. The Skordatura Punkjazz Ensemble released their first album, "How To Chase A Minute In One Second" about one year ago. The band is getting ready to start recording their next album and will be setting up a crowdfundingproject. The kick-off concert will take place at 'Vrijstaat O' in Oostende (B) on March 27, 2015. 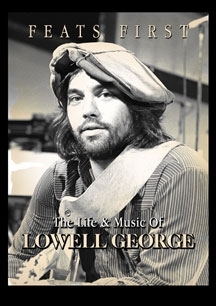 "Feats First - The Life & Music Of Lowell George". Fred Händl is recording an all-Zappa album. 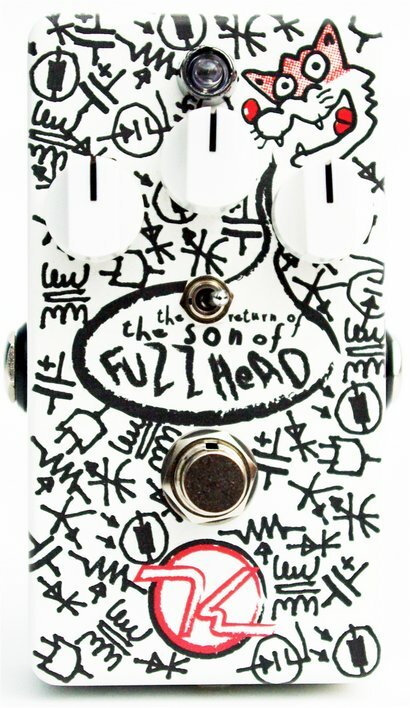 the Robert Keeley fuzz pedal, with a Cal Schenkel design. Yes! My Wofonian friends have a new album out !! 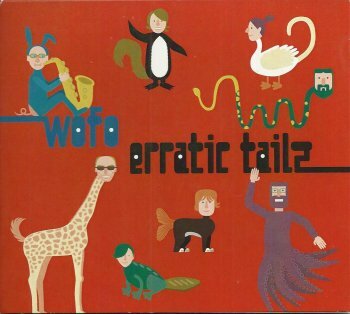 "Erratic Tails" features (composer) Mattias Laga on clarinet and bass clarinet, Michel Mast on tenor sax, Pieter Baert on piano, Xavier Verhelst on 6-string bass and Simon Raman on drums. Special surprise is the addition of The Wofettes: Cécile Broché and Anouk Sanczuk on violin, and Eline Deurinck on cello. It's impressive to hear how the strings add extra layers to the compositions. Great arrangements ! Here's a live version of the first track of the album, 'The Rabbits Are Restless Tonight'. 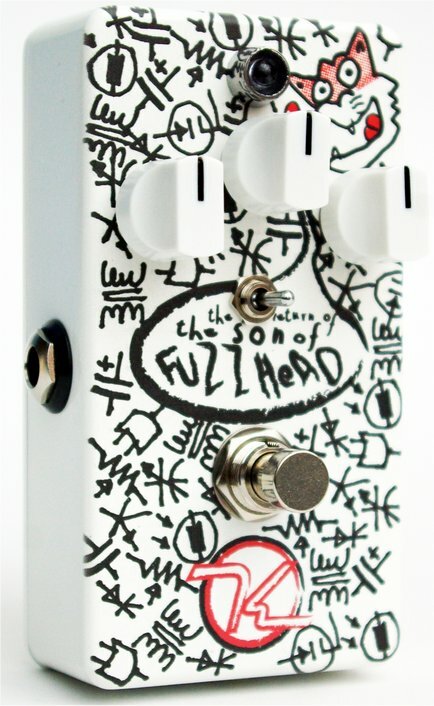 Adrian Belew's "FLUX" kickstarter project, included a lot of fine rewards to its participants. One of them was a download of 'I'm Food For You', a track that has Hooter Johnson (performed by Adrian Belew) playing the blues. 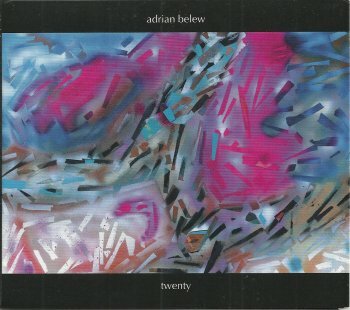 One of the most impressive rewards, however, was "Twenty", a 20-song-sampler that got pressed in a limited edition of 173 numbered, signed and dedicated copies. 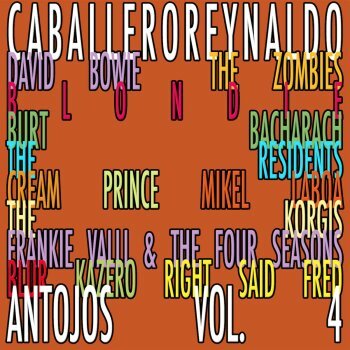 The new Caballero Reynaldo album is an all-covers disc. It includes Prince's 'Raspberry Beret' and The Residents' 'Bach Is Dead'. "St. Valentine's Day Massacre - Winterland Arena Broadcast San Francisco 1976" is another 'radio broadcast' album that is being released in the UK. • This concert, when Little Feat was opening for Jeff Lyne’s Electric Light Orchestra, remains one of their mostlegendary performances. • Originally broadcast live on KSAN radio, this concert has been heavily bootlegged in the past.• This fantastic performance captures the band playing their funky New Orleans flavored rock like no one else. • Also highlighted is Lowell Georges unique slide guitar playing. IF YOU CAN BE THERE, DO! BE! THERE! Super excited to discover what sort of chemistry results from the meeting of these three elements. Some 35 years ago, I used to listen to this weekly Dutch VPRO radio show with experimental, electronic and noise music. Can't remember what it was called. It also had a newsletter that got sent out (on paper!) every month. Maurizio Bianchi might have been on that radio show as he is an Italian pioneer of electronic music. 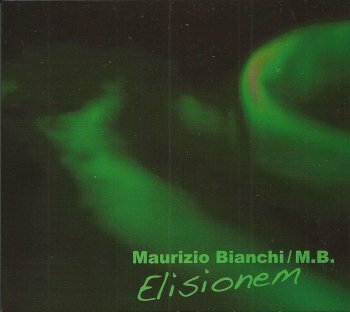 "Elisionem" got released in 2006 by the Klang Galerie label, in a limited edition of 500 copies. The liner notes have some nice things to say about what 'elisionem' means. 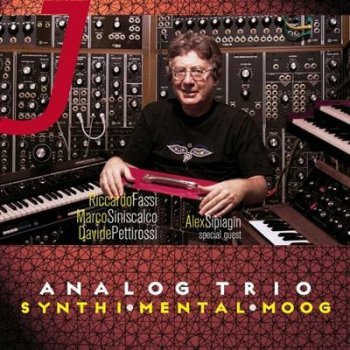 Riccardo Fassi's Analog Trio recorded a Zappa medley on their download-only "Synthi Mental Moog" album : Let's Make The Water Turn Black / Eat That Question / I'm The Slime. Remember Riccardo Fassi from his Riccardo Fassi Tankio band that recorded an all-Zappa album in 1995. Data has been added to the United Mutations Archives. 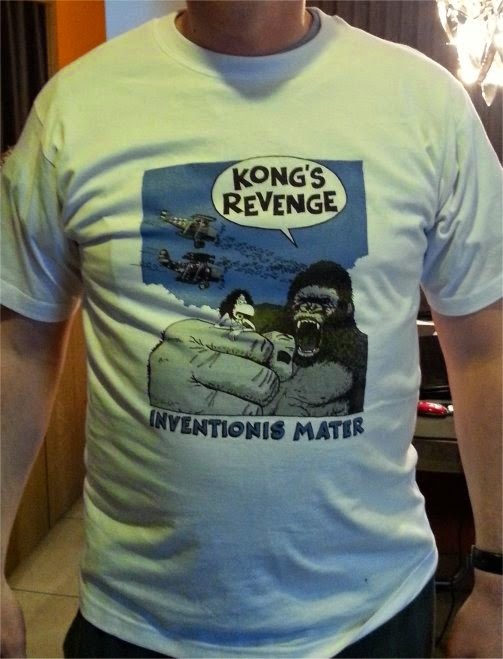 Inventionis Mater released their second Zappa album ! Joe Satriani photo session with Mike Keneally, Bryan Beller and Marco Minnemann. Acton Zappa rehearsal at "Survival", playing Blessed Relief by Frank Zappa. our first 'loud' reahearsal in preparation for a couple of upcoming gigs. 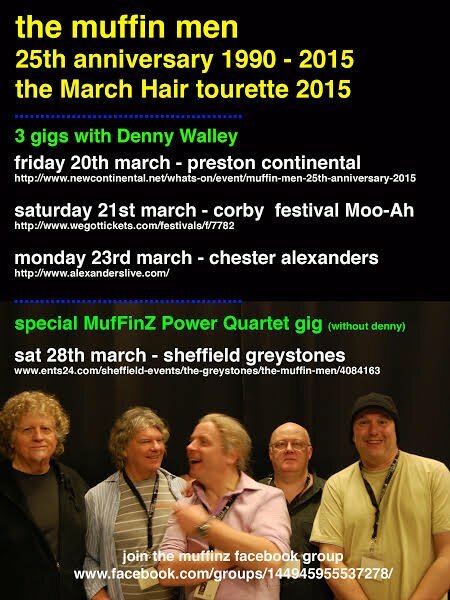 The band will be performing at the Moo-Ah festival, 20/21 March 2015. Late eighties Belgian band Mensen Blaffen. The Onderstroom label recently released "Verzameld Werk" (Collected Works). Experimental music duo Brian Poole (Renaldo Malpractice) and David Janssen (Ted The Loaf) are better known as Renaldo And The Loaf. Their albums got released by Ralph Records in the early eighties. Album number four was a collaboration with The Residents and also included special guests Snakefinger and vocalist Nessie Lessons. Re-released in a series of Renaldo And The Loaf re-issues by the Klang Galerie label. Earlier today, I gave "The Master" another spin. 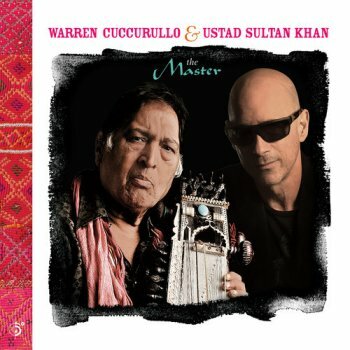 I already talked about this excellent album by former Zappa collaborator Warren Cuccurullo and Indian sarangi master Ustad Sultan Khan when it came out, around June 2014. I have been playing it every now and then, but as I received a signed copy / surprise yesterday, I had the perfect reason to sit down and to give the album another listen. Here's a very nice remix by Karsh Kale from the recent digital only "Psychedelic Planet" remix collection. with Lander Gyselinck, who plays the drums in Pieter Claus's Sinister Sister / Zappa Project. 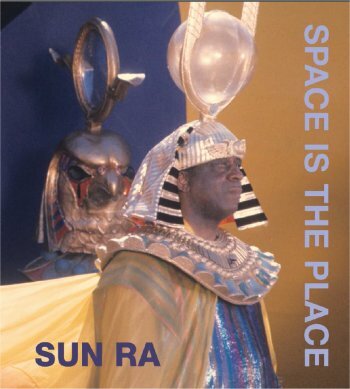 The latest digital release from the Sun Ra Music Archive is I ROAM THE COSMOS by Sun Ra and June Tyson, with the Arkestra. Good news and bad news. The bad news: there's only one great track on the album. The good news: it's the ONLY track on the album. "I Roam the Cosmos" is a 51-minute cosmo-drama call & response between Sunny and June, backed by the Arkestra, recorded in 1972 at Slug's Saloon, NYC. Mastered 24-bit from the original tape, exclusively for iTunes. It's a raw, soulful performance, discovered by Michael D. Anderson of the SRMA. To the best of our knowledge (and we've conferred with three Ra authorities), this track has never been issued in any form. It is NOT the same composition as "We Roam the Cosmos." It is constructed on the "Discipline 27-II" bed, over which Ra declaims and June echoes & amplifies. The personnel is guesstimated, again with input from a few Ra scholars. It is unlikely we will release this on LP because it would require artificially dividing a continuous 51-minute piece. However, we're looking into CD release. Celestial Love is also now available in remastered form, but I'll cover that in a separate post. Ra to the Rescue currently undergoing restoration, probable release in February. Here's Lisa Popeil, singing background on Weird Al Yankovic's 'Tacky'. 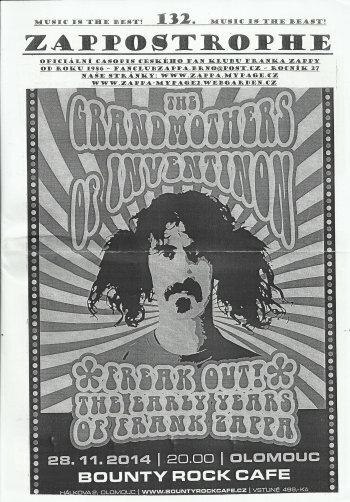 And just for fun, here's Weird Al's Zappa tribute, from 2003. With Dweezil Zappa on the guitar. Pledgers' dowload of the soundtrack and of the digital book was made available last month. 2015 marks Northern Spy’s fifth year of existence. To celebrate, we’ll be rolling out news about some amazing concerts throughout the year. The first two installments will take place at the SUGARCUBE, an inflatable performance space at the South Street Seaport (NYC). On January 24th, we’re featuring an improv workshop with guitarist Marc Ribot and performances by Loren Connor’s Haunted House and Ribot’s Ceramic Dog. On January 31st, we’re presenting a workshop and performance by none other than Marshall Allen and the Sun Ra Arkestra. Lazuli did a short tour in the UK. 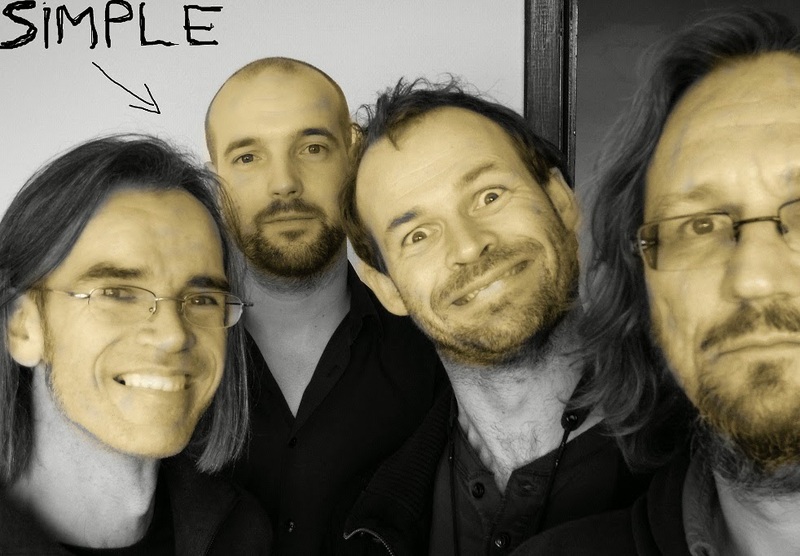 LAZULI UK TOUR 2014 "7 garçons dans le van"
Montage vidéo du périple de Lazuli au pays des Beatles du 24 novembre au 2 décembre. Video editing of the fabulous trip of Lazuli to the country of the Beatles from 24th November to 2th December. Last Sunday, I gave "Monsters" another spin. "Monsters" got released by Jay Phlitman and Kim Kang about half a year ago. On vinyl. Limited to 220 copies and each copy with a different album cover. 26 short stories about monsters. Michael D. Anderson and I have been remiss in notifying the list about new Sun Ra digital releases thru the Mastered for iTunes program over the past six months. I will cover them in two emails, and will include links to the iTunes releases, which are high-quality AAC+ 24-bit audio and include free pdf booklets with full album downloads. We had accorded iTunes exclusivity thru the end of 2014 only; as of January 1, all these releases should now be available thru other digital music retailers — but only in mp3 format, and without the pdf booklets. We have noted occasional gripes against iTunes for various reasons (technical, ethical, economic). All we can say is, without the editor at iTunes who first proposed this massive reissue project (because he's a huge Sun Ra fan), in all likelihood none of these releases would exist in upgraded digital format, and none of the previously unreleased material (including complete reissues of Saturn albums which had been overlooked) would be on the market. That editor (who prefers to remain anonymous) opened the floodgates. We have signed a deal with Virtual Distribution to release LPs and CDs. However, we have not yet established a release schedule, because we're discussing how to establish a foothold in a market awash with Scorpio's cheap and inferior bootleg vinyl. We are deeply indebted to a number of Ra scholars who have been helpful in providing info about personnel, recording dates and locations; advice on previous incarnations of particular tracks; tapes and vinyl transfers; cover art; and encouragement. In no particular order, we thank: Christopher Trent, Peter Dennett, Christopher Eddy, John Sudduth, Robert Campbell, John Szwed, Phast Phreddie Patterson; Gilbert Hsiao; Paul Griffiths; and Alan Nahigian. The folks at Strut and !K7 have been a delight to work with on In the Orbit of Ra. Thomas Jenkins, Jr., Sun Ra's nephew and managing member of Sun Ra LLC, deserves tremendous thanks for his cooperation and ceaseless encouragement. I met him in Atlanta in November, and he's a wonderful man for whom I have boundless respect. Solo Moog recordings. Bonus track: the complete 17-minute "Space Probe," also on Moog, which had been released on Art Yard CD, but we did additional clean-up on the audio, and we think there's a perceptible improvement. "Spaced out barbecue soul" and Moog experiments. Previously reissued on CD by Corbett vs Dempsey, we did additional cleanup on this album and Vol. 2 below. LOTS of additional cleanup on this; much improved over the CvD CD. We also dropped two tracks on the CD which were identical to two tracks on When Sun Comes Out with different titles (Endlessness = The Rainmaker; Red Planet Mars = When Sun Comes Out). All of these have been remastered, and we trust they sound better than previous CD, LP, and/or digital issues. "Cluster of Galaxies" = complete version; bonus track: "Chicago, Southside." We had originally released the title track (all 28 minutes) in mono, because that's all we had. But Christopher Trent discovered a stereo mix, which is radically different (and one minute shorter!) than the mono. We removed the mono track and replaced it with the stereo last summer, but neglected to notify the list. The entire album is now full stereo. First reissue of the lengthy title track. 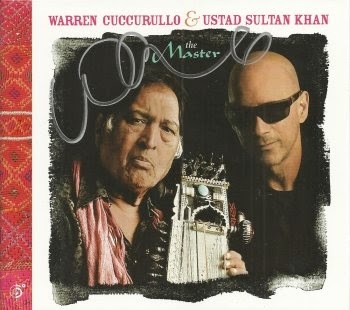 Other tracks from Fireside Chat had later appeared on Nuclear War and Celestial Love. The track "Nuclear War" now appears on Fireside Chat, as we have copied the Saturn track sequence. The rest of the Nuclear War CD tracks are being included on a full reissue of Celestial Love (which will be one of our first 2015 releases). Live 1980 album recorded at NYC's Squat Theater. Eternal Tomorrow, which had also been released on Saturn under the title Rose Hue Mansions of the Sun, has never been reissued in any format. 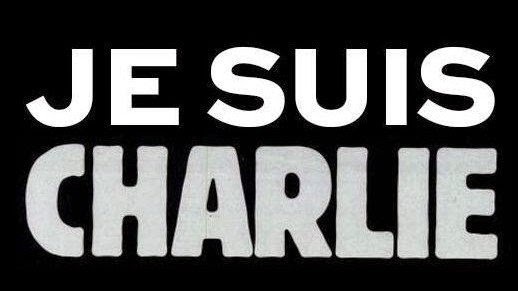 The music is confrontational, defiant, and studded with explosive outbursts. Full album with alternate takes of the title track and "Love in Outer Space." 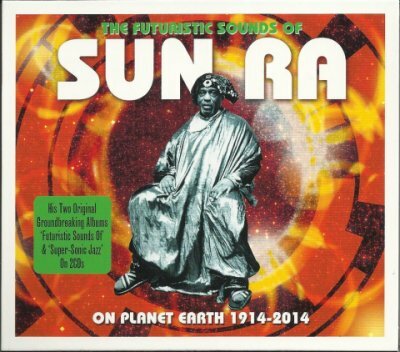 Sun Ra's "psychedelic rock" album, failed to knock Iron Butterfly off the charts. Thanks to Peter Dennett and Paul Griffiths for providing a tape transfer of "Cosmo-Earth Fantasy," which had first been issued on Art Yard CD. We did additional clean-up on this track. "World of Africa" was discovered by Michael Anderson (two takes, actually) and sounds far superior to any previous version. Despite claims that this album was "recorded live" at Temple U in 1974, subsequent research by Griffiths points to 1968 recording dates for "Cosmo-Earth" and "World of Africa." The other two tracks were probably recorded at Temple in '74, but not in concert (there is no audience). Michael D. Anderson, who attended Temple, believes they were recorded in the chapel, which served as a makeshift performance space. Coming in 2015: I Roam the Cosmos (world premiere); Celestial Love; Ra to the Rescue; Live at the Pit Inn; Cymbals; and some surprises. Folks, the third week of January 2015 is going to be insane. I’m working feverishly on this show as I type these words. Philly is my old stomping ground, having seen MANY of the bands that I pay tribute to to this day. Of course, ZAPPA will be the focus on January 15 at WORLD CAFE LIVE. SATURDAY, JANUARY 17-Napoelon Murphy Brock makes his return to NYC’s Iridium night club. My big band will be sizzling hot just 2 days after our Philadelphia gig. The match-up of my band and Napoleon is like no other! Again, the focus will be Zappa with some Todd Rundgren thrown in. SUNDAY, JANUARY 18-IRIDIUM-The Ed Palermo Big Band featuring Rob Paparozzi debuts their new cd release, ELECTRIC BUTTER- the music of PAUL BUTTERFIELD AND MIKE BLOOMFIELD. This is our official CD release party! Finally, there’s the FALCON on SATURDAY, FEBRUARY 7. Just a week and a half ago, we played our annual Christmas show there. I hope that all of you get to watch the video of that show. It was one of our best. I believe the zappateer website may have it. The Feb 7 Falcon show will be a “theme show”, but it’s going to be a surprise. Thx so much to all of you who bought my OH NO, NOT JAZZ t shirts and ELECTRIC BUTTER cds! I have plenty left of both (along with my 4 Zappa tribute cds) so let me know if you’re interested. Tim Palmieri, Beau Sasser and Bill Carbone. 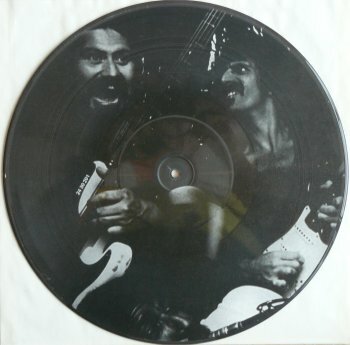 This 2CD set shows what three top musicians can do with Frank Zappa's music. Live at the 2013 edition of Zappanale. This is fun. This is funky. Treating classic Zappa repertoire as jazz standards. This is why I love jambands. 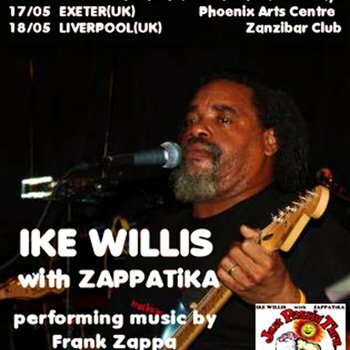 Zappatika invited Ike Willis to tour the U.K. last May. The result can be heard on "Live In Liverpool". The download-only album also includes some pictures and two very interesting little movies: Ike solo performing John Lennon's 'You've Got To Hide Your Love Away', and Zappatika with Ike performing 'Filthy Habits'. Last week, I mentioned the impressive Backback release on the El Negocito Records label. 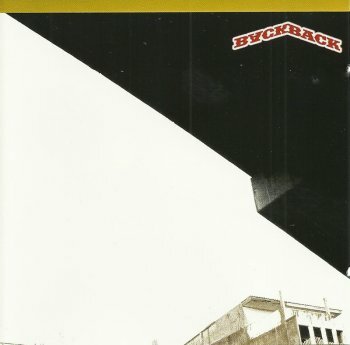 I just added the data of Backback's 2006 debut album to the United Mutations Archives. My Album "Burt, the Nerd" wins the 2. place at the German Rock & Pop Award and my track "Clinic" wins the top spot Nr. 1. Categorie Jazz Rock. http://burt-the-nerd.com for more. 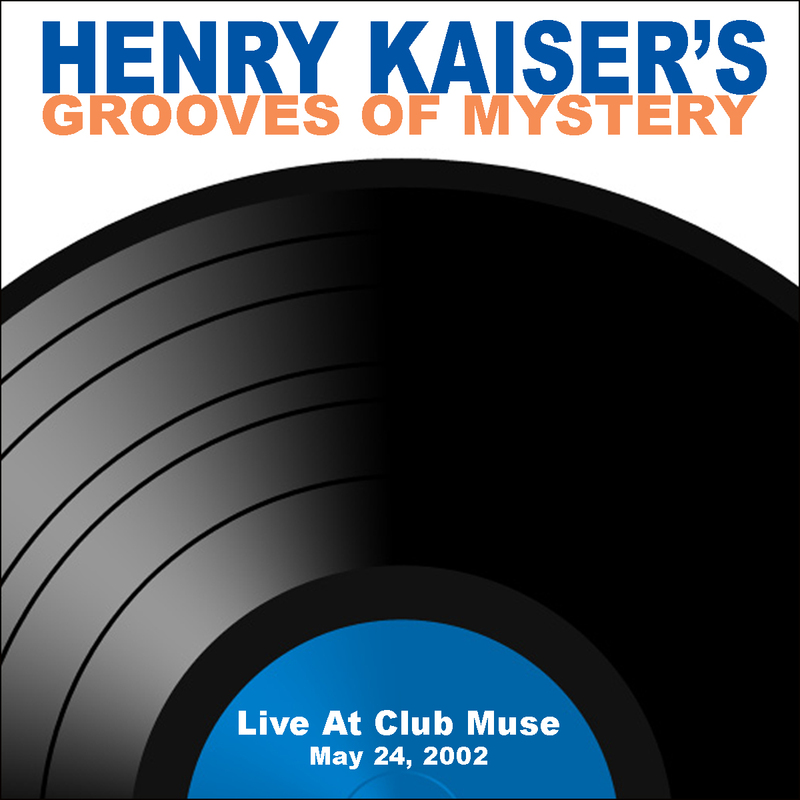 Henry Kaiser's Grooves Of Mystery did a concert at the Muse Club, May 24, 2002. And they even played a Zappa tune ! 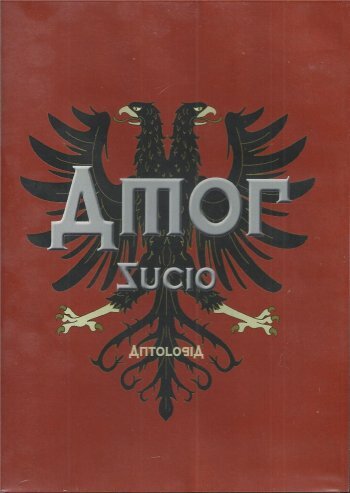 The "Antologia" 6CD-box got released by Hall Of Fame a couple of months ago. It includes the previously released albums, demos, and a live registration. The set also includes two versions of Amor Sucio performing Frank Zappa's 'Dirty Love'. The first one from their "Total... 3" album, from 1993, the second version as part of the included concert. Another addition to the Others Of Invention. Searching for the Space Orphans vinyl album earlier this week, made me come across this promotional CDR that I received from Joe Nolan in 2013. To my own amazement, I hadn't put the data in the United Mutations Archives. So I gave the disc another spin and started typing. 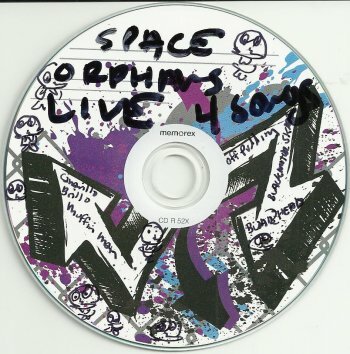 This CDR (in a blue transparant sleeve) presents four tracks and I can't really read the handwriting on the label, but the first track is the Space Orphans doing a live version of Frank Zappa's 'Camarillo Brillo / Muffin Man'. 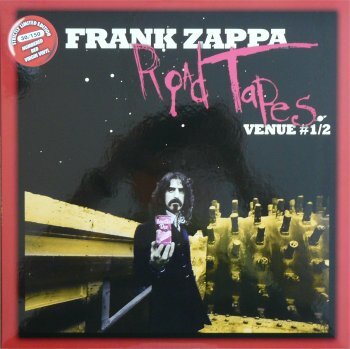 Here's the second part of Frank Zappa's "Road Tapes Venue 1" counterfeit vinyl bootleg album. 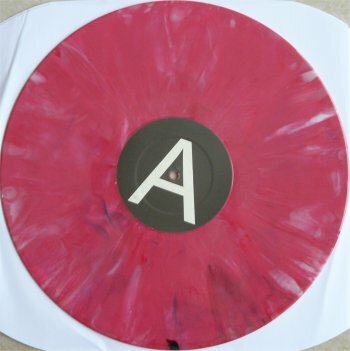 Also released on red vinyl in a limited edition of 150 copies. 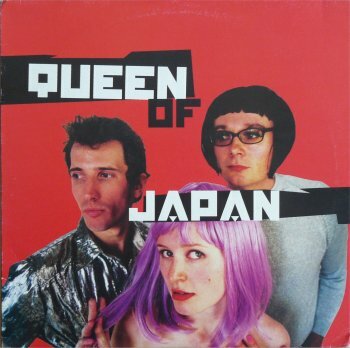 Queen Of Japan recorded Frank Zappa's 'Bobby Brown' and released it on their 2001 album. 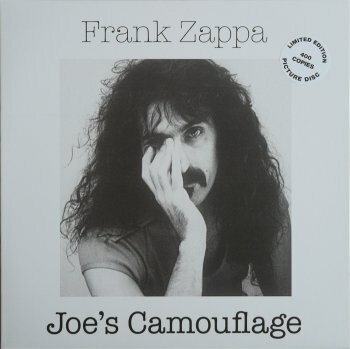 A nice addition to the Others Of Invention, bands recording the music of Frank Zappa. 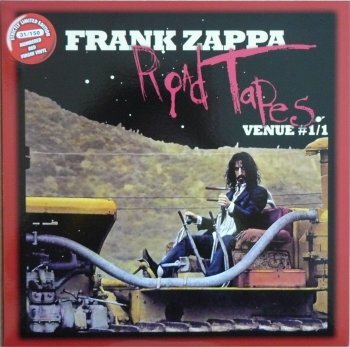 This is the first part of Zappa's "Road Tapes Venue #1" CD album, released as a counterfeit. 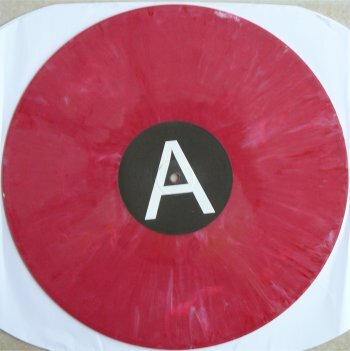 It has been produced in a limited edition of 150 copies, on red vinyl. It got released in early 2014. 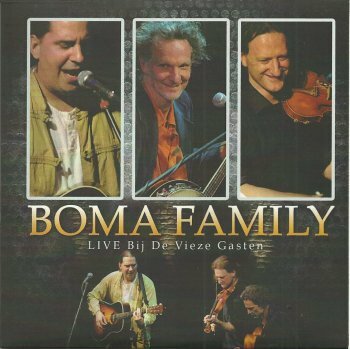 Boma Family features Wouter Vandenabeele, Tom Theuns and Humble Grumble mastermind Gabor Vörös. About 15 years ago, the three musicians lived together in the same house in Ghent in the Bomastraat, hence the name, Boma Family. At the time, they performed in bands like Dearest Companion, Think Of One and Humble Grumble. The three of them were invited to perform at the Sepsiszentgyorgy festival in Transsylvania in 2012, and the reunion was a fact. Fans of twisted folk music should definitely check this out. The ensemble features Steve Chillemi on gongs and marimba, Nate Bixby on keyboards and Paul de la Reza and Ed Flynn on guitars. 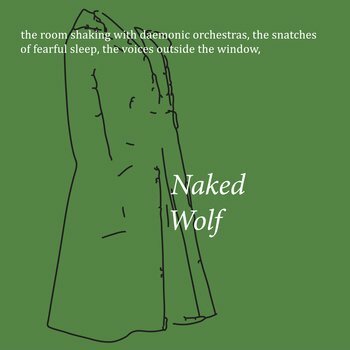 November 2014, El Negocito Records released this eponymous album by Naked Wolf. 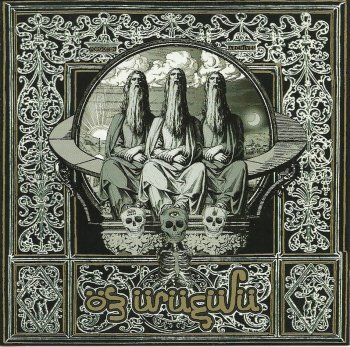 The front cover of the album reads "The room shaking with daemonic orchestras, the snatches of fearful sleep, the voices outside the window." which gives the unprepared listener an idea of what to expect. Naked Wolf is an international sextet, featuring Yedo Gibson (Brazil) on reeds, Ofir Klemperer (Israel) on piano, ms20 and vocals, Felicity Provan (Australia) on trumpet and vocals, Mikael Szwafirowski (Finland) on electric guitar and percussion, Gerri Jäger (Austria) on drums and percussion, Luc Ex (The Netherlands) on acoustic bass, and Seb El Zin on vocals. The music of Naked Wolf is experimental and improvised but does carry some catchy melodies and a danceable groove. Add some angular rhythms and some repetitive, hypnotic phrases and you'll get the idea. This is right up my alley! Out on El Negocito Records. August 27, 2014, I posted about a mix-tape that Kurt Cobain had made. It included some Zappa stuff. It also included a mistake which has been corrected. 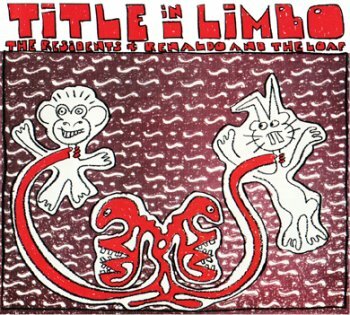 The tape includes Jack Brewer (of Saccharine Trust), and not Daniel Johnston as had been stated earlier, screaming about Satan. Here's another 2014 release that I brought home from a trip abroad. 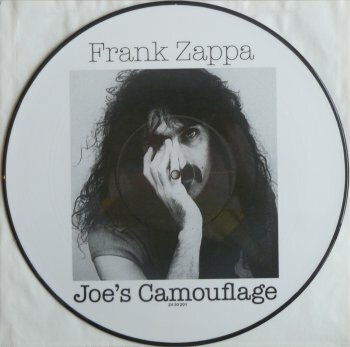 A 12" vinyl picture disc bootleg of Zappa's "Joe's Camouflage".